6-24-15 Today’s Tarot is the One of Fire. A powerful new energy arrives to inspire your creativity and encourage you to develop your passions. Use this energy to do what you love. 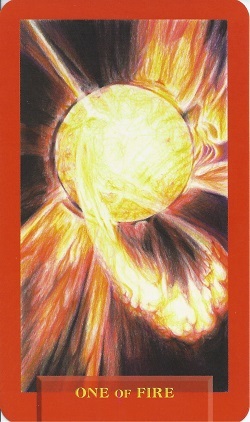 This card is about energy and power.